Microsoft Word is the backbone of the Microsoft Office suite. After years of progress, Microsoft has decided that “if it ain’t broke don’t fix it” and is making tiny adjustments to Word 2010. Following the new ribbon menu that we saw from Word 2007, there wasn’t a lot left to be desired. However, Microsoft still managed to find and rectify some minor annoyances. While there are many small changes, this article will cover those with the most significant impact on Microsoft Word usability. In all previous versions of Microsoft Word, it has always been annoying using the Find function. Either the search box would cover up your document, or you would have to search for an exact phrase to avoid scrolling through the same word dozens of times. With Word 2010 when you Press Ctrl+F on your keyboard it will bring up a new Navigation pane. Rather than covering your documents, the new pane will just resize your document window. The new pane will show you all of the words that you are searching for, highlight them in the text, and display them along with their surrounding sentences in an easy-to-navigate list. Word has needed this update for years! If you don’t like using the Ctrl+F keyboard shortcut, you can get to Find from the Editing button. While Google Docs paved the way for simultaneous document editing, Microsoft has updated Word 2010 with the same functionality. If you’re running a Sharepoint server and you have a Skydrive account, you’ll be able to collaboratively work on documents and view any revisions or text updates since your last visit to that document. I can’t tell you how many times when copying something from the Internet into a document there has been format issues in Word 2007. Microsoft has solved this problem within Word 2010 by adding Paste Options. 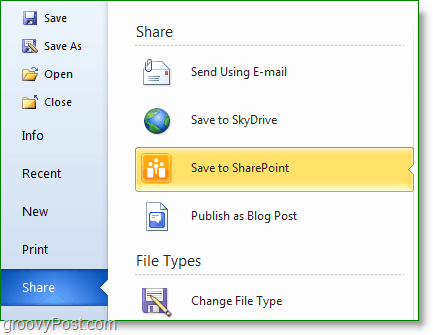 Now when you copy something from another source with different formatting than your document you get a new menu prompt. Not only are there additional format options, but now you can get a live preview of what it will look like in the document by hovering your mouse over each option. Sounds very Windows 7, aero peek inspired to me! There are many more features for Word 2010 that have been added, new styles, new text effects, etc. 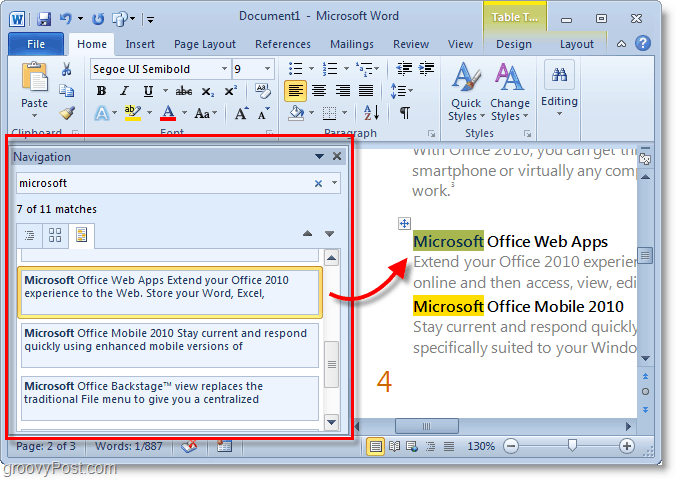 If you want to discover them all you’ll really have to Download Microsoft Office 2010 Beta and try it out for yourself! Nice post Austin ! But unfortunately, I have found that the Paste Option works only once, i.e. it doesn’t display the other Paste Option Options like Merge Formatting or Keep Source formatting in the second attempt. To get those options again, I have to restart my machine. Have you faced this issue?